"Twenty years from now you will be more disappointed by the things you didn't do than by the ones you did do. So throw off the bowlines. Sail away from the safe harbor. Catch the trade winds in your sails. Explore. Dream. Discover." 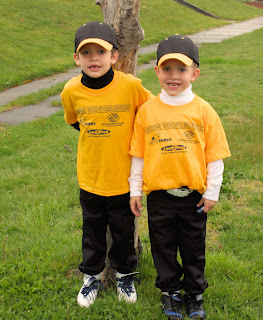 The boys started t-ball this last month. They are having a blast,especially Cole. Baseball is his thing. He lives and breathes it. He was so excited for real baseball pants and cleats and well just all things baseball. This year Parker and Cole can play on the same team along with there cousin Connor. I signed David up to be the assistant coach, thankfully he was okay with it because I didn't ask him first just told the head coach he would do it. I think he is having as much fun as the boys. Madi loves to go to baseball practice as well. She calls it her team and gets very upset when we tell her its the boys team. They are so darn cute and getting so big!! Ah! I can't wait! 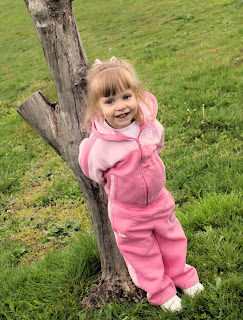 T-ball is so adorable! How fun! The kids are getting so big! I can't believe you all are still in long sleeves. I'm in a tank dress and sent the boys to school in shorts. It's partly cloudy but still warm---in the 80s. blah! How've you been? Hope all is well!